A job search coach can help you secure a better job while also giving you the intangible benefit of gaining control over your job search. Those are just some of the reasons why you might need a job search coach. This is a guest post by Job Search Coach Rita Ashley of jobsearchdebugged.com and is part 2 in a 3-part series on coaching and the job search. If you'd also like to guest post here on JobMob, follow these guest post guidelines. Hiring a career coach or a job search coach is a huge step. It is also a financial decision which is off-putting to many would-be coaching clients who fail to recognize the monetary value of securing a better job, reaching it faster and gaining the intangible benefit of control over their search. Use this guide to determine how your job search and career could be accelerated by a job search coach. While the most compelling reason to hire a job search coach or career coach is to help you, many people find a coach an invaluable asset when they are ready for the promotion from Director to Vice President; the largest leap in any career. Why? Because while a director is a tactician, a vice president is a strategist and it is strategy that drives the corporate mission. A vice president is an officer of the company and thereby legally responsible for decisions and comments. Most companies take hiring or promoting new vice presidents very seriously. If you want that promotion or want to become a vice president with a new employer, you need a job search coach. 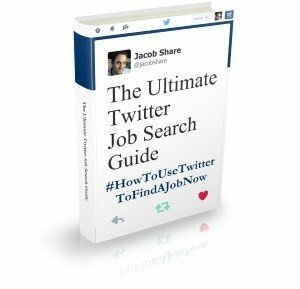 Are you often overwhelmed at where to start your job search each day? Organization and implementation are the stalwart twins of your search. Do you have a plan or to-do list for each day? Do you know who to call and what to say? Are you getting return email and phone calls? Do you know the most productive way to follow up? If there is some issue related to your job search that has become an obstacle, a job search coach can help you position the issue for a cleaner and easier search. Is your age getting in the way of your job search? Are you a minority or LGBT individual finding discrimination walls? Do you have a damaged reference or gap in work history? Are you relocating to a new geographic area and don't know where to start? Looking for a job for more than three months without a single offer is a good indicator that you could use a job search coach. Tempting as it is to blame the tight job market, people are getting hired. Why not you? Do people follow up with questions once you deliver your elevator pitch? Is your network introducing you to people who know where the jobs are? Do you answer the “tell me about yourself” question with a marketing pitch? If you are having trouble locating the hidden job market, have exhausted your resources and no longer know where to look for leads, a job search coach or a career coach can point you in new directions. Do you know who to ask for job leads? Do you get introductions and referrals? When people say they “will think about it”, do they contact you with ideas? Is your network stalled and you don't know how to reach out to others? Ultimately, the most compelling reason to hire a career coach or job search coach is to refine your job search technique and up your game. Do you want to improve the pool of job opportunities available to you? Do you want better control over your job search to illuminate some of the stress? Do you want someone to watch your back who can see what you cannot see? If you identify with any of the reasons above and feel you need a coach, then you probably do. Now all you need to do is find the right one. Rita Ashley is a technology recruiting veteran who has worked closely with investors, executives and hiring authorities to staff senior technology positions in Seattle. In her current role as a Job Search Coach she is passionate about helping executives and technology professionals get the promotions they are after and the jobs they want. Ms. Ashley's book Job Search Debugged offers unique advice and tips based on her recruiting career working closely with hiring authorities. 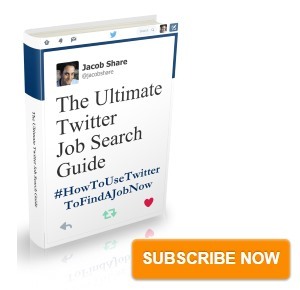 Subscribe to JobMob via RSS or email and follow me on Twitter to get the best job search guidance when you need it most. …of course it’s important to do this before you need to, then you are playing from a position of strength and not when you are desperate. Great post! I love the term “job coach”! Using one can be so helpful to ones job search, and open up opportunities that did not exist before. Thanks for the great advice! Just thought I’d mention references- you need to be aware of who you’re using and what they’re saying. If you’re not sure the reference is positive you can always get it checked, there are services that will see what your references will say when asked about you. I got mine checked and was happy to find out that an old supervisor couldn’t mention a dispute, company policy is dates and title only. Try googling “reference checking services”- I used Allison & Taylor. Thanks for the insight, JobSeeker.